EU passes new code despite industry opposition. 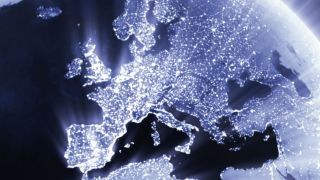 The EU has given its final approval to the new European Electronic Communications Code (ECC), claiming the measures included will enhance roll out of 5G and other next generation network technologies. The ECC promises the availability of 5G spectrum by the end of 2020 and by giving operators certainty with 20 years licensing. It also relaxes rules of the co-investment in fixed infrastructure and extends consumer protections to all forms of communications technology. This means anyone using an Over the Top (OTT) service like Skype or WhatsApp will be covered to the same extent that anyone making a call or sending a text message will be. There are also provisions for security, accessibility and affordability, as well as the promise of more transparent tariffs and easier network switching. Finally, international calls will not cost more than 19 cents per minute within the EU. The EU believes the measures will help fulfil its ambition of making high quality fixed and mobile connectivity available to as many people as possible, but the mobile industry has been critical of the first major overhaul to the ECC since 2009. Critics argue the changes are a political compromise that will do nothing to promote investment and will subject European operators to strict regulations. Industry body the GSMA had wanted spectrum licences of a minimum 25 years and believes the regulations are a missed opportunity. Meanwhile some analysts believe the additional price regulations appeared to contradict the goals of the EU by adding more rules. “Very often, when regulatory measures are widely criticised and seeming leave everyone unhappy, it often means policymakers have probably struck the right balance,” Luca Schiavoni, senior analyst at Assembly, said earlier this year. “This might not be the case with the newly approved European Electronic Communications Code however, which has seen both fixed incumbents and alternative operators alike voicing discontent, and left mobile operators disappointed by the unfulfilled promise of 25-years long spectrum licences.